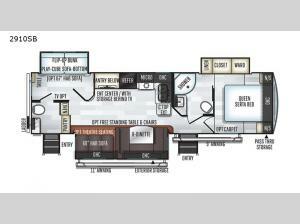 This double entry door Forest River Rockwood Ultra Lite 2910SB travel trailer will have your kids wanting to go camping every weekend you get a chance. The unique private bunkhouse offers a Play-Cube sofa below a flip-up bunk with a table and includes the option to add a TV for their entertainment. The best part about their private room is the half bath connection allowing them easy trips during the night, plus there is a linen closet to keep things tidy. 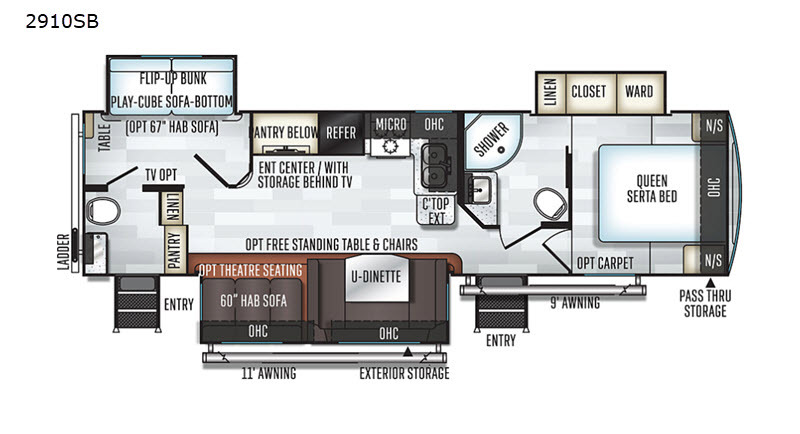 There are many more features you will love such as the U-shaped dinette and the 60" hide-a-bed sofa providing comfortable seating and extra sleeping space when your friends join you. The full bathroom is across from the main entrance and includes dual entry giving you easy access at night from the front private bedroom! Lighten your load with any one of these Forest River Rockwood Ultra Lite travel trailers! All of these units have full aluminum frames and laminated fiberglass sidewalls to make for a sleek and sturdy unit to last you a lifetime. And with the torsion axle and rubber-ryde suspension you will enjoy a smooth ride each time you travel. 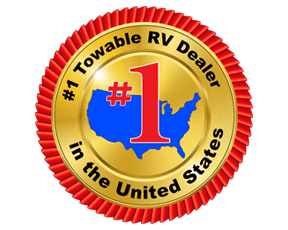 Each travel trailer is easy to tow with any sized truck bed and comes with standard easy lube axles and Nev-R adjust brakes to ensure for a safe and smooth arrival. To keep you cool on a warm day you will enjoy a 13,500 BTU A/C unit and to warm you up on a cooler day, there is a quick recovery auto ignition gas/electric water heater for a hot shower. Between the LED TV with a multi-directional antenna, the WiFi ranger WiFi booster sky 4, and the multi zone stereo with DVD/CD/AM/FM/MP3 player hook-up and Bluetooth control, you will find entertainment for everyone in your group. This is an ultra lite decision so come choose your model today!